As one of the largest manufacturers of telecommunications and networking electronics, Huawei Technologies was in 2018 recorded as the second largest manufacturer of smartphones in the world. With its highly recorded research and development interests, the smartphones that have been produced over time have been groundbreaking and impressive, offering the best of services to users with its personalized software processor called Kirin. With a wide variety of phones produced, it gets harder to choose which is the best, as Huawei offers amazing specifications in their phones and have made them as affordable as they can get. Some of the major flagship series include the Mate series, P series, Y series, Honor series amongst many others. As the flagship smartphone collection, the Mate series have been consistently dropping mouthwatering specifications as never before seen in the era of smartphones. The newest Huawei Mate 20 Pro is categorized as the brand’s most audacious phone yet. With a 6.39” OLED, QHF+HDR display, the screen is pushed almost to the curved edges. It features an in-display fingerprint scanner, face-unlocking system, Android 9 operating system, the option of 6GB RAM+ 128GB ROM or 8GB RAM+256GB ROM memory capacity, triple rear camera (40MP+ 20MP+ 8MP), single 24MP selfie camera, dual nano-SIM supporting 4G LTE network and many other specifications that makes it a perfect breakthrough in technology fit just right for you. The Mate 10 Lite is an affordable breed that features 5.9” full view display, dual rear camera (16MP+2MP) with LED flash, dual selfie camera (13MP+2MP), rear-mounted fingerprint sensor, non-removable 340mAh battery. Popularly known as the mid-rangers, the Huawei Y series is aimed at the demographic of young buyers looking for devices that are capable of doing a bit of everything without breaking a bank. The 6.5” Android 8.1 Y9 features dual rear camera (16MP+2MP), dual selfie camera (13MP+2MP), rear-mounted fingerprint reader, the option of 4GM/64GB or 3GB/64GB memory capacity. The 6.26” Y7 Prime is designed with a dewdrop display for a clear and broader view, 3GB/32GB memory capacity expandable up to 512GB, 16MP selfie camera, dual 13MP+2MP rear camera, dual 4G compatible sim slot, face detection system, fingerprint sensor and many more specifications that make it the best choice for your budget. The Huawei honor series have various models all designed to bring the best of technology to users at an affordable price. The Honor 8X also known as Honor 10 Lite has a glass front and back frame and features the dual Nano-SIM capacity, Android 8.1 operating system with Oct-core CPU, the option of 4GB or 6GB RAM with 64/128GB internal memory storage expandable up to 400GB, single 16MP selfie camera, dual 20MP+2MP rear camera, and a rear-mounted fingerprint sensor. 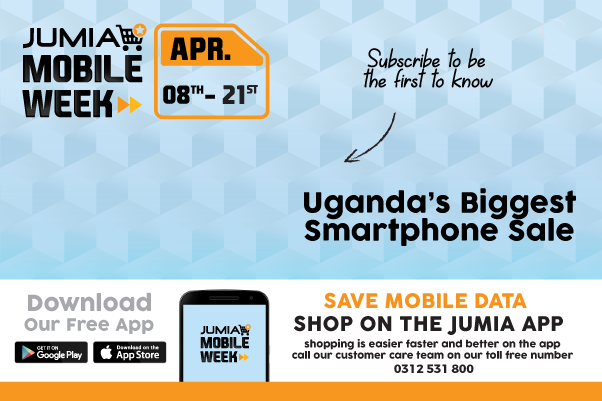 Browse through a wide collection of Huawei smartphones including the Honor 7S, Ascend Mate 7, mate 20 Pro and many more on Jumia Uganda, where we offer authentic products from trusted suppliers at the best prices possible. Shop now, use any of our safe and convenient payment methods and have your items delivered to your doorsteps.